Serial. WTF with Marc Maron. Pod Save America. This American Life. The Joe Rogan Experience. The age of the podcast is here. Over the past decade, the most popular podcasts have elevated the medium to the same pop culture status shared by our favorite movies and TV shows. However, there’s one significant difference. While you likely don’t have the cash to backroll a movie or television series, all you need to create a podcast is a microphone, a computer, a distribution outlet…and of course, a killer idea. But that doesn’t mean all you have to do is crack a mic and start yapping. Like any other medium, you need to know what works — and what doesn’t — in the podcasting realm, which are lessons you can learn in this How to Start a Podcast course bundle. It’s only $49 (81 percent off) right now from TNW Deals. Your guide to podcast gold is John Lee Dumas, a name well known in the podcasting world. As the creator and host of the daily EOFire Podcast, Dumas talks with entrepreneurs about the secrets to their success. 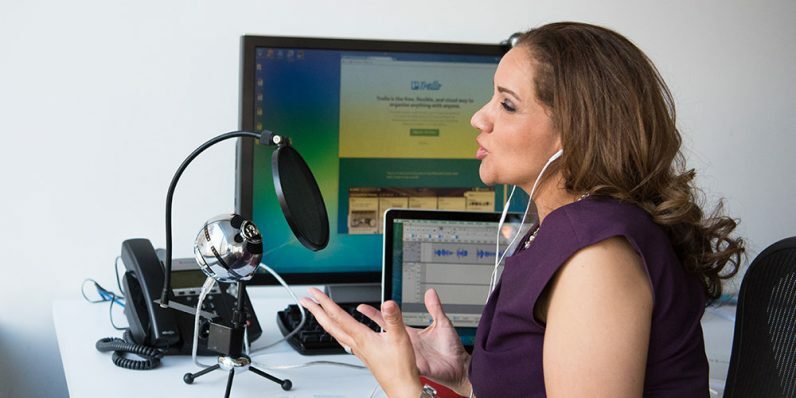 This training, featuring nearly 60 high quality video lessons, offers you the tools to turn your own enterprising spirit into a podcasting empire. First, break down the mechanics and basic tenets of podcasting with the Podcasting 101 course. Once you have the fundamentals down, the instruction turns to honing the craft at the heart of every successful podcast: storytelling. With Power Your Podcast with Storytelling and Essential Storytelling Techniques with Producers from “Snap Judgment,” you’ll understand the elements of a good story, how to structure your narrative flow and ways to get the best answers from an interview subject. Finally, Start Your Profitable Podcast and Build a Brand gets you acclimated with the business and marketing side of podcasting, featuring everything from how to make your podcast stand out to how to seek out and capture an audience to how to make some money on the whole endeavour. While this current offer lasts, you can get all four courses for less than $12.50 each.